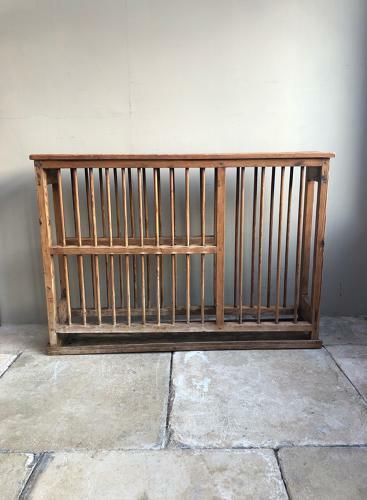 Superb & Large Early Victorian Pine Plate Rack. Great colour with solid pegged construction and not one worm hole. The base is very slightly sloped and so the plates can be put in wet to drain and the water drains out from the left hand side onto the draining board. Of course it can be use just to store plates too. From a large country house kitchen. Perfect kitchen storage.